Home Features Opinion Curtis Moldrich F1 2019: just what impact will Formula One’s new engine rules have? It had to happen eventually didn’t it? Somehow, all of the F1 teams have agreed on something, and now we’re getting three new rules for the 2019 season. Two of those are great; but I'm not sold on the third. Biometric gloves will make it easier for paramedics to monitor drivers’ vital signs in the event of accident, and a new, combined driver and seat weight limit will eliminate the disadvantage that taller, heavier drivers currently have. And then there’s the new fuel rules. In 2019, the FIA has announced there will be an increase in race fuel allowance from 105kg to 110kg, which it says ‘will allow drivers to use the engine at full power at all times.’ Only it’s not that simple. 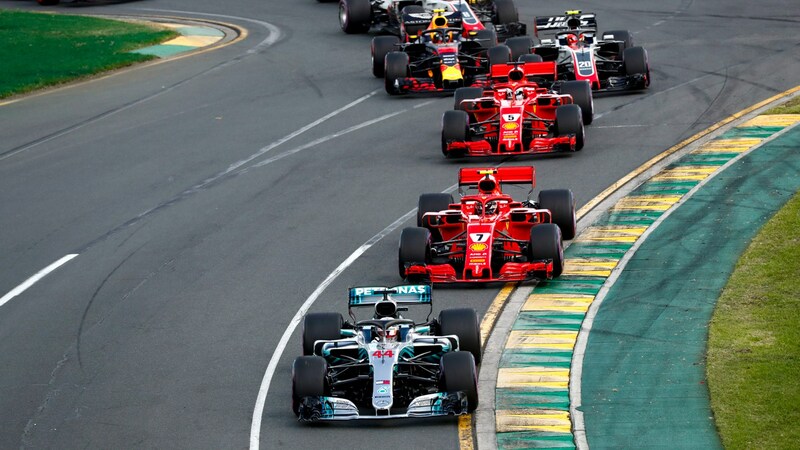 While it’s true drivers could in theory using their engines at full power all the time, other rules recently brought into the sport will essentially penalsing them for doing so. The result? No driver wanting to get the most points at the end of the season would ever run their engine at full power all the time – even if they had the fuel to do it. The problem is the current, three engine per year rule. With only three PU at their disposal over the course of the year – and remember that’s for every race, qualifying session and practice – teams are understandably using their engines sparingly. At the first race of the 2018 season, we saw Hamilton turn his engine down and stop his pursuit Vettel. That didn’t happen because he was low on fuel, it happened because he was thinking about his engine allocation for the year – and didn’t want to cause any unnecessary wear. The result? What could’ve been an ongoing duel petered out into a seconds long gap. Heavy-handed use of grid drops for engine and transmission changes can change the face of a race weekend, and with the championship already balanced on a knife edge, and no camp showing overall dominance, no team or driver wants an engine failure this year. Yes, the three engine rule was designed to reduce costs, but has it really? Teams have had to go back and redesign their power plants to new, higher tolerances – and that’s only increased the cost of engines, anyway. If F1 wants to reduce the culture of car preservation and lift and coast, it has two real options in my mind. Abandon the cost-cutting measures, accept F1 is expensive and let teams have more engines per year. Yes, you’ll get less manufacturers joining, but you’ll return to the days of incredibly powerful, revvy BMW, Honda and Mercedes-Ilmor engines of the 90s and 00s. There was no lifting and coasting then, was there? The second, and probably better option would be to find a new way to penalise engine changes. As it is, five place grid drops seem to be a good idea executed poorly. They punish the driver – not manufacturers – and they encourage teams to look manage their cars rather than race them. Besides, this year we’ve had two close Sebastian Vettel victories – in races he arguably didn’t have the overall pace to win, and we’ve just had a thrilling Chinese Grand Prix, too. Do we really want to change the rules at all right now? They’re finally working.